Aurora R-8 School District Home of the Houn Dawgs! 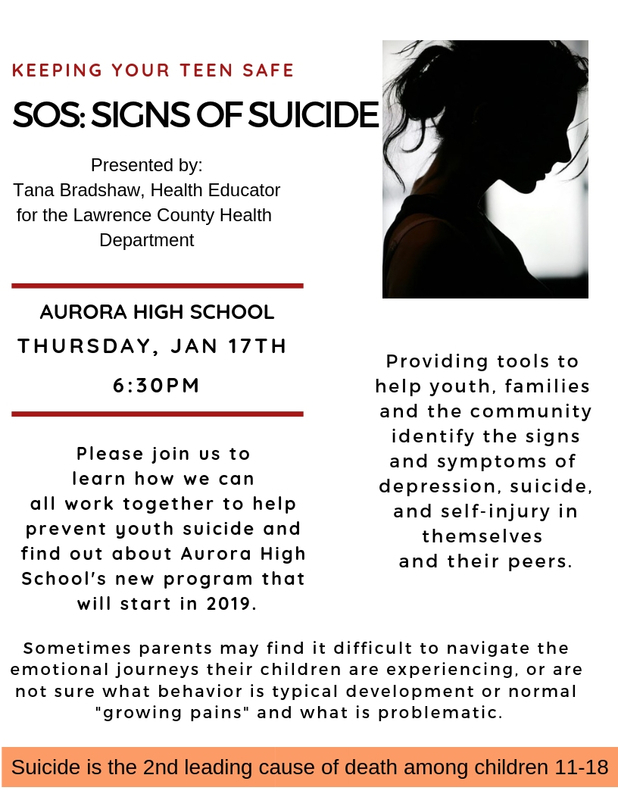 Aurora High School and the Lawrence County Health Department presented and will be working with students regarding the program SOS: Signs of Suicide. If you have questions or concerns regarding you child's situation, please contact the Counseling Department at 417-678-3355. Copyright © Aurora R-8 School District 2019. All rights reserved.